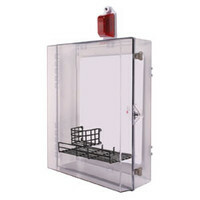 AED Protective Cabinet, polycarbonate with backplate, wire shelf and thumb lock. Internal measurements are 361 (h) x 310 (w) x 164mm (d). 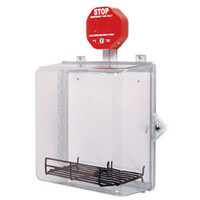 AED Protective Cabinet with Select-Alert alarm/strobe & thumb lock facility. Internal meansurements are 361 (h) x 310 (w) x 164mm (d). 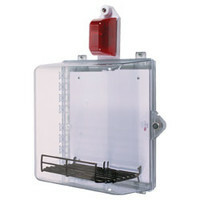 AED Protective Cabinet - polycarbonate with backplate, wire shelf, siren alarm, thumb lock. Internal measurements. Internal measurements are 361 (h) x 310 (w) x 164mm (d). 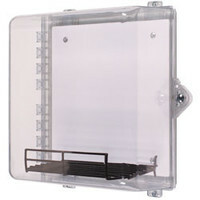 Extra large AED Polycarbonate Cabinet with backplate, wire shelf and thumb lock. Internal measurements are 630 (h) x 504 (w) x 186mm (d). Extra large AED Protective Cabinet with Select-Alert alarm/strobe & thumb lock facility. Internal measurements are 630 (h) x 504 (w) x 186mm (d). 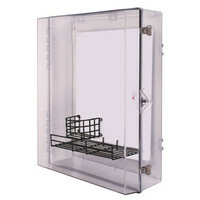 Extra large AED Protective Cabinet - polycarbonate with backplate, wire shelf, siren alarm, thumb lock. Internal measurements. Internal measurements are 361 (h) x 310 (w) x 164mm (d).